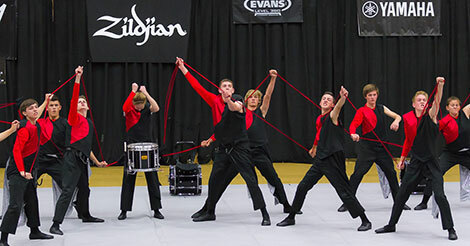 NCPA is pleased to welcome back WGI Sport of the Arts Percussion Education Coordinator Caleb Rothe, presenting his “Successful Design Principles” clinic on November 15 as a free online webinar. This FREE webinar event is being offered exclusively to NCPA directors & instructors. It will *only* be available the day of the event, so plan ahead and don’t miss it. It will run from 1-3pm. The first portion of the webinar will focus on the changes made to the evaluation system for 2016 and beyond, including discussion of the shifts in point allocations and the details concerning the new dual-pronged approach to effect feedback. The second portion will focus of successful design principals. Topics will include the three pillars of great design, tips on orchestration and staging, and essential questions each designer must ask themselves to ensure their program will resonate with audiences.